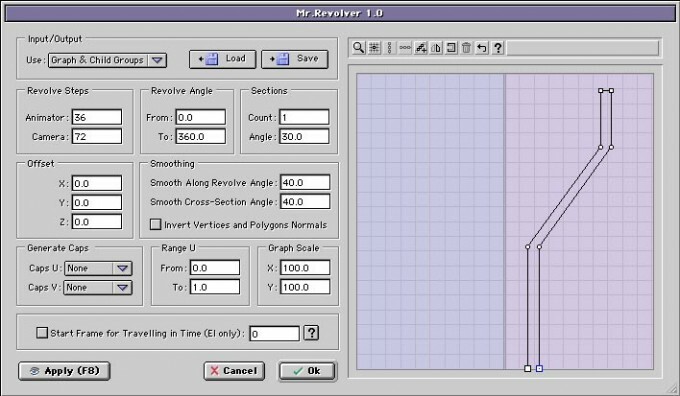 Mr.Revolver is a geometric plugin designed to lathe custom drawn paths, or imported child groups. It features different output and construction/modeling options for your lathed object such as Caps options, smoothing parameters, animated parameters, keystrokes, save and load options, different resolutions for Animator and Camera and other goodies. Mr.Revolver is not only the perfect companion for our popular Mrs.Bebel, but a powerfull tool for your every day work.